I am a full-blooded Texan, married for 45 years to a wonderful husband, mother of two sons and seven grandchildren. For a number of years I have been scrapbooking and stamping. What I enjoy most is making and sending cards to minister and bless other people. In the last couple of years I discovered Copic markers which have become my favorite medium for coloring. I've enjoyed teaching Copic coloring classes to customer and friends. As a former angel for 9 years with The Angel Company my hobby became a business and real joy in my life. I was on the TAC Dream Team designers and the Digi Design House design team. 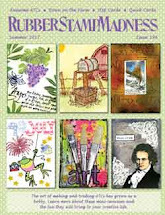 How exciting to be a part of the Red Rubber Designs Design Team and help promote this wonderful stamp website. Join with us for stamping challenges and fun! Paula-Kay brings an obvious love of teaching and coloring to our team. 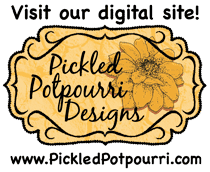 Please visit her blog, Creative Stamping with Paula-Kay, to see what she has in store for you today. Leave her a comment for a a chance to win a fabulous prize. Yay! Paula Kay! Another one of my favorites! Not shocked..I knew you and Deb would be on the design team. Congrats to both of you. Looking forward to all your designs. Paula Kay looking forward to more neat stamps like the angel co. had. Congrats Paula-Kay for making it on the design team. I will look forward to all of your fun creations for the RRD. Kudos to you Paula Kay - happy you're on-board w/this new group!